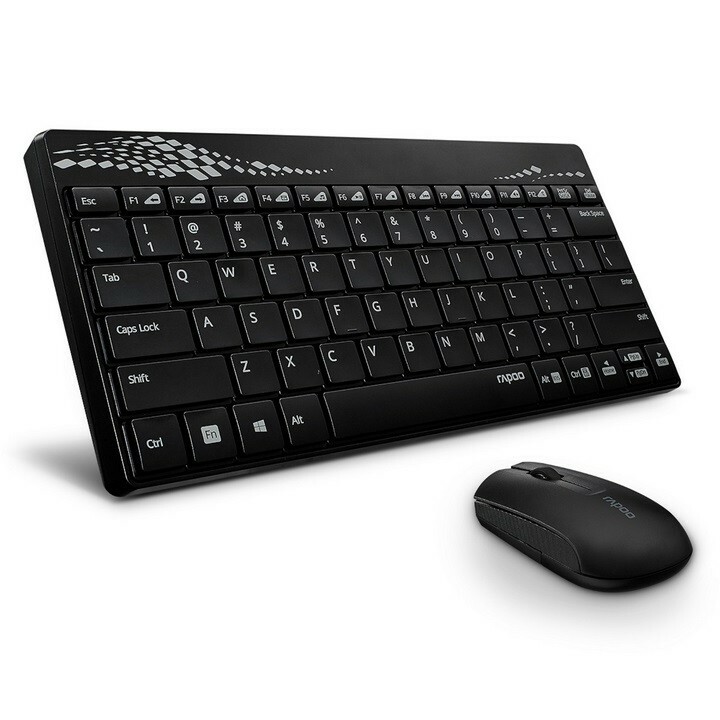 Rapoo, a leader in Wireless peripheral technology, announces the launch of its advanced ‘8000 Wireless Mouse and Keyboard Combo’, exclusive to those who are on the go. 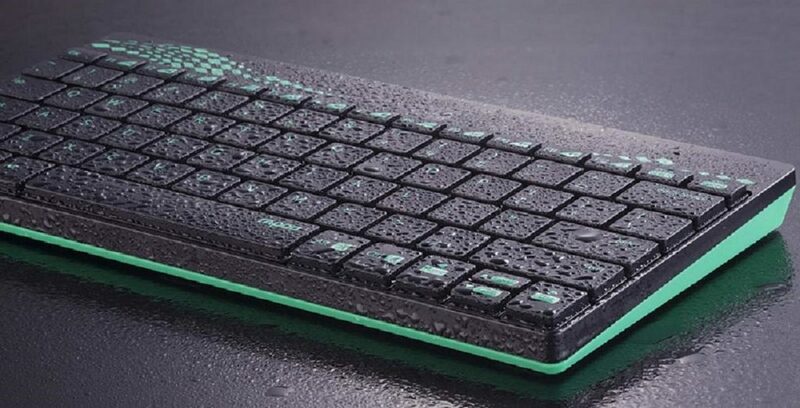 The slim keyboard isn’t just sleek; but truly compact and on the go! Experience the high-level architecture, meshed with customizable Multimedia Keys that supports 1000 DPI High-Definition Tracking Engine which brings responsive and smooth cursor control. The pocket-size keyboard features a familiar key shape, size, and feeling. It comes with a palm rest and adjustable tilt legs to keep you comfortable all the time. Enjoy responsive and smooth cursor control with the 1000 DPI high-definition invisible tracking engine on the Mouse. The contoured and ambidextrous mouse will perfectly fit into either of your hands. Running on a 2.4 GHz wireless connection both Keyboard and Mouse works up to 10meters of distance along with 360degree coverage. The Mouse is built to last with 10 million key press lifecycles that sports, laser print keys that do not fade off easily for further durability. 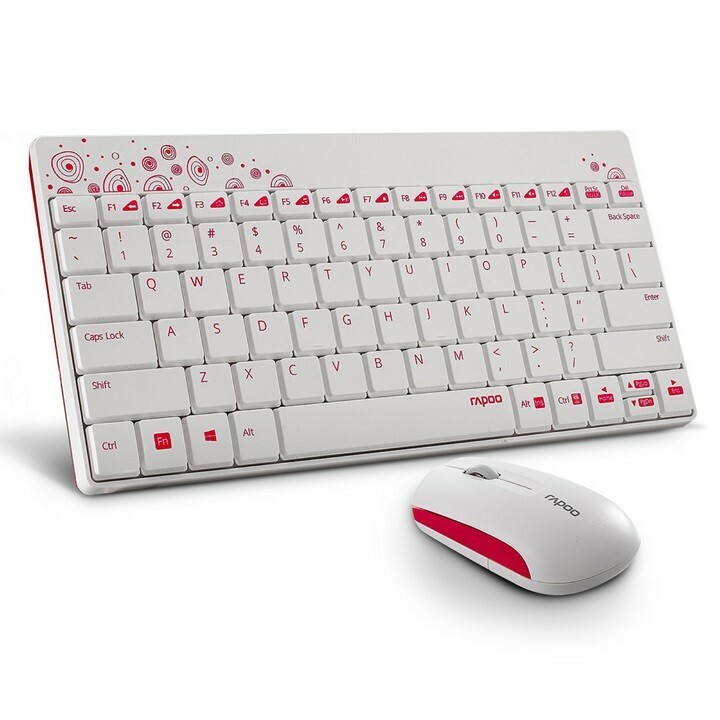 With Rapoo’s latest energy saving technology both the keyboard and Mouse functions without power interruption for up to 12 months. The peripheral is also crafted with a noiseless design that ensures an undisturbed working environment and is built with a key stroke (mm) 1.5 and 5 million times of key life, to effectively release muscle strain, so that working for longer hours can be easier. Adding glamor to the boring work desk the keyboards are available in bright and trendy makes the boring desk more flamboyant. The product with 3-year warranty is already available with leading retail and ecommerce stores in India.